Starting with the creation of the original LEGO Star Wars video game, LEGO has created a family of both child and adult friendly video games. With a variety of themes at its disposal, LEGO has been able to turn popular franchises such as Indiana Jones, DC, Marvel, Lord of the Rings, and Harry Potter into games that appeal to the whole family and encourage families to spend more time together. The Original LEGO Star Wars video game pioneered the way for the remainder of its family with its portrayal of the three prequel episodes to the Star Wars saga. Unlike other family oriented games, LEGO created an atmosphere filled with countless puzzles, adventures, and Star Wars characters which made the game as loved by adults as much by kids. In addition, LEGO has taken a comedic view to the original story which is so loved by its fans. To wrap it up, the game also features music from the John Williams sound track which many have come to love. Most recently, LEGO has made games based upon Marvel Superheroes and its hit movie, The LEGO Movie. Fully utilizing the numerous scenes and characters from these themes, LEGO has created large hubs which connect the different levels in addition to providing unique missions and experiences apart from Story Mode or Free Play. From the great city of New York to Cloud Cuckoo Land, these video games feature unique stories which integrate everyone’s favorite characters. But more importantly, these video games feature LEGO’s expansion to characters that can talk and explain the story line, as well as keep the audience laughing. In a time where families are separated by the boundaries of technology and hand-held devices, LEGO has succeeded in creating games which can bring whole families together in a unique way which can be fun for all ages. 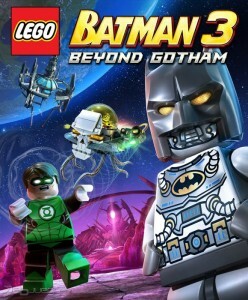 We can all look forward to LEGO’s preview of LEGO Batman 3: Beyond Gotham at E3 this year as the next great chapter in LEGO’s continuing story.